Felt like long that we have not dinner outed for as a family. Recently, if we were eating out it's always been take outs. We love to go out for eating as a family, sitting in a comfy place with the comfort of food sharing and conversing with each other. Because regular days are so busy and we always in a little hurry. 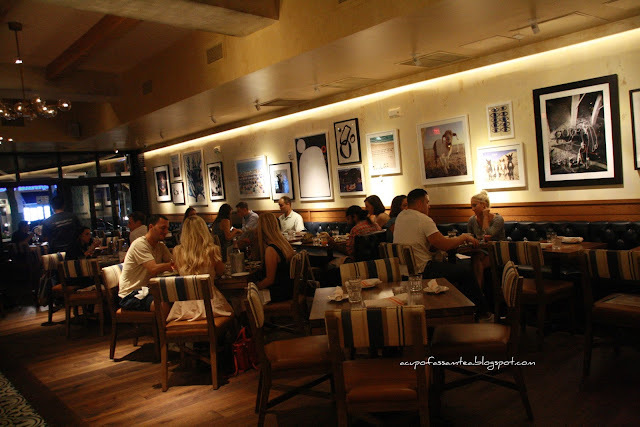 On Friday nights a new place new food gives boost for a good relaxing weekend ahead. That’s why we always look forward to Fridays and is our favorite for dinner outings. Zohara, the Mediterranean flare has been in my pending list for a little while now. Finally made it to Zohara, a comfort, complete, casual culinary tale. 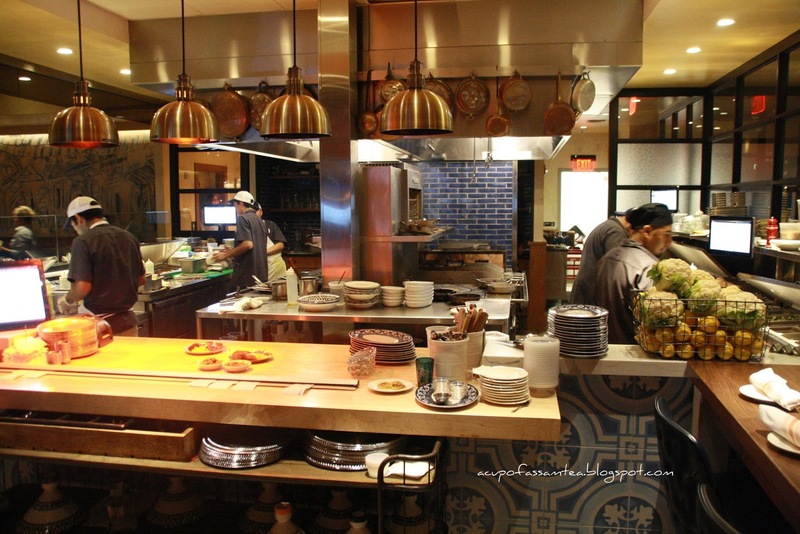 In the heart and hustle of blue back square, Zohar is casual, open modern kitchen and with a bunch of humble attentive staff and casual clean sitting. Just like its name, Zohara is a jewel in midst of blue back square. We started our day housemade lemonade with a mindful hint of mint flavor. 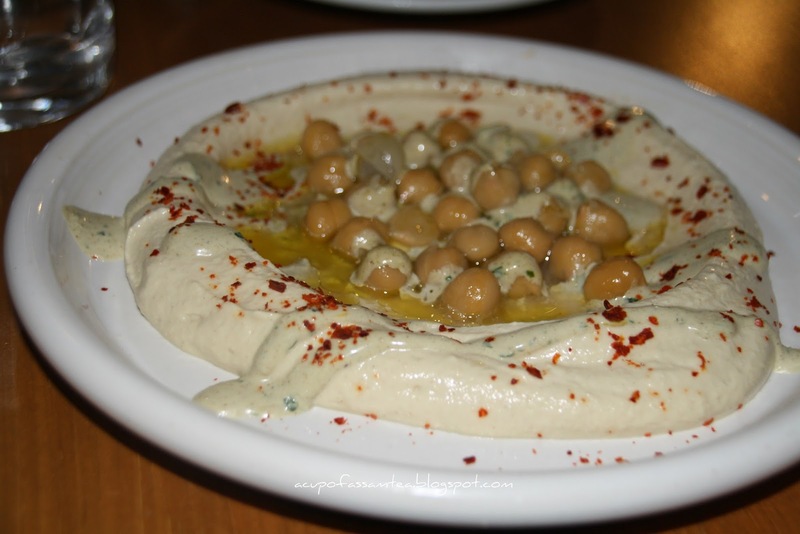 As chickpeas are our family favorite, we were there to start with crunchy chickpeas and hummus that comes with pita bread. 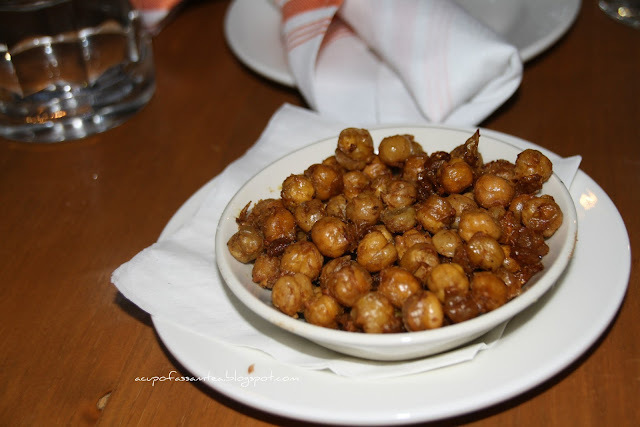 My kids loved hummus -pita and crispy crunchy chickpeas. Zohra does not have any specific kids menu but the main menu is good enough for ordering for kids. I am sure you will find something for kids to relish. 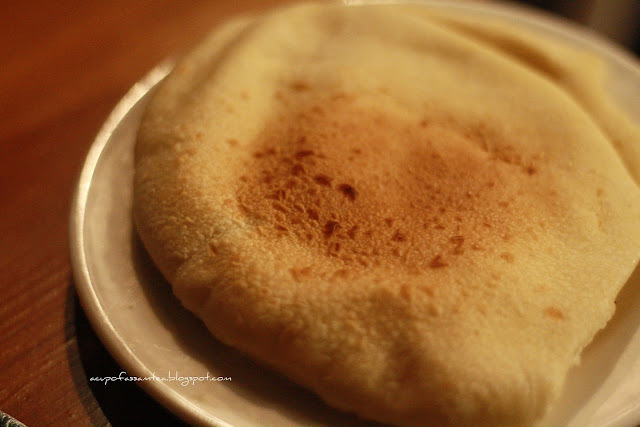 Freshly baked from the hot oven palatable pita coupled well with velvety hummus with a tiny tint of sesame taste definitely a raving twist. 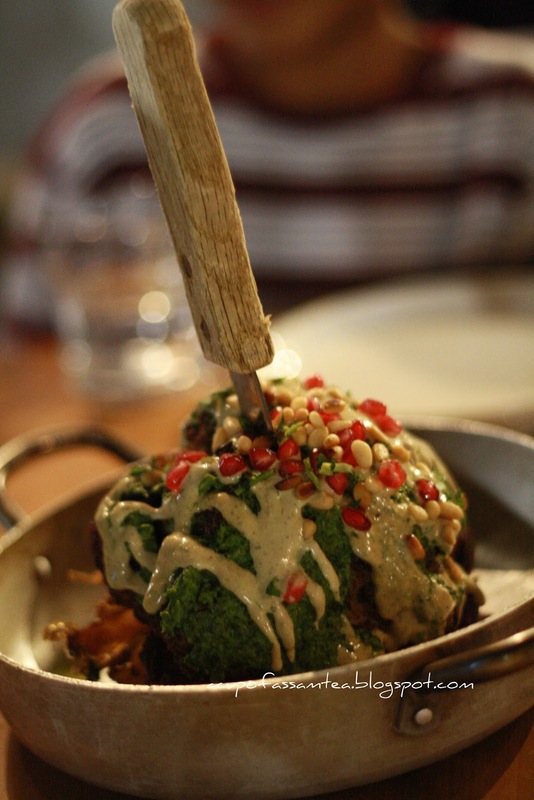 For our main, I opt for a roasted whole cauliflower with pine nuts pomegranate, tahini, and herbs. Spice up roasted cauliflower topped with green chutney and jeweled in pink pomegranate seeds, it definitely takes a level up Zohara’s culinary tale. It was not just the looks but enticing and appetizing taste carefully roasted cauliflower with green herb and pomegranate gives you a good shake on your taste bud. 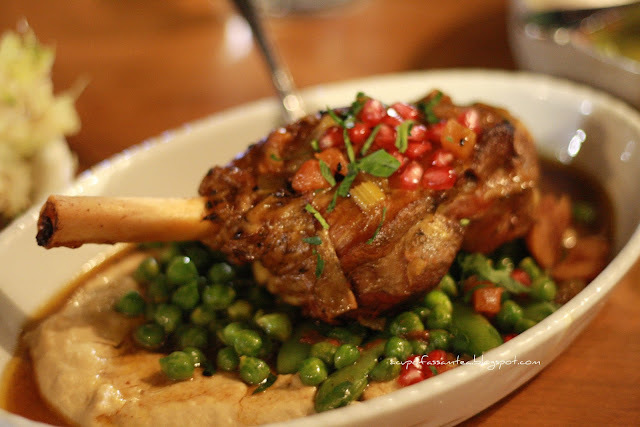 For hubby, we had lamb shank with green peas, pomegranate, and lentil. A melting in mouth meaty flavored lamb shank is a must try. Love the twist of chic green peas served with whipped hummus is definitely a chefs innovative take. For kids they wanted chicken, so we had Chicken harissa. We were little disappointed with the portion, only four chunks of chicken but was immediately made up with the taste of succulent, rightly roasted chicken and crispy harissa chili and onion. At the end, we wanted to leave on a sweet note so, ended with rose pudding. As I don't go overboard on sugar, got my share of one spoon from my kid's plate. 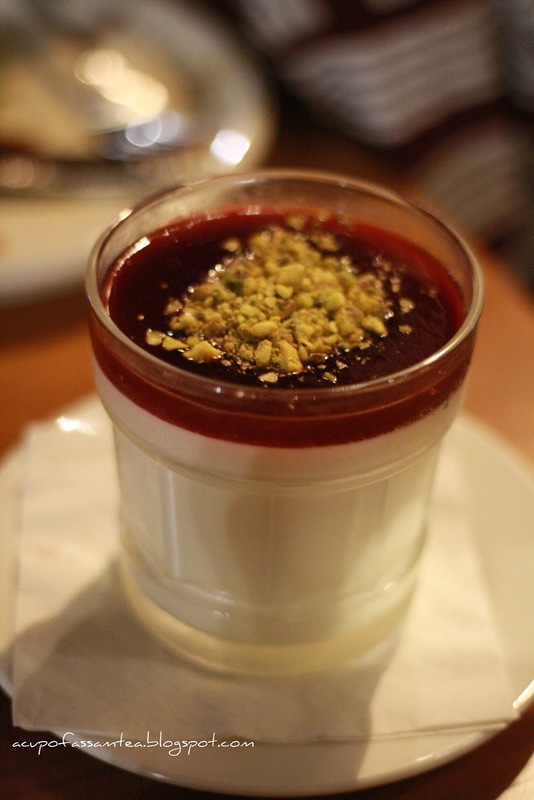 It was luscious whipped and luxurious red rose syrup on top with garnished green pistachio. A well spent Friday evening with zestful Zohara with her comfort culinary tale worth the price. 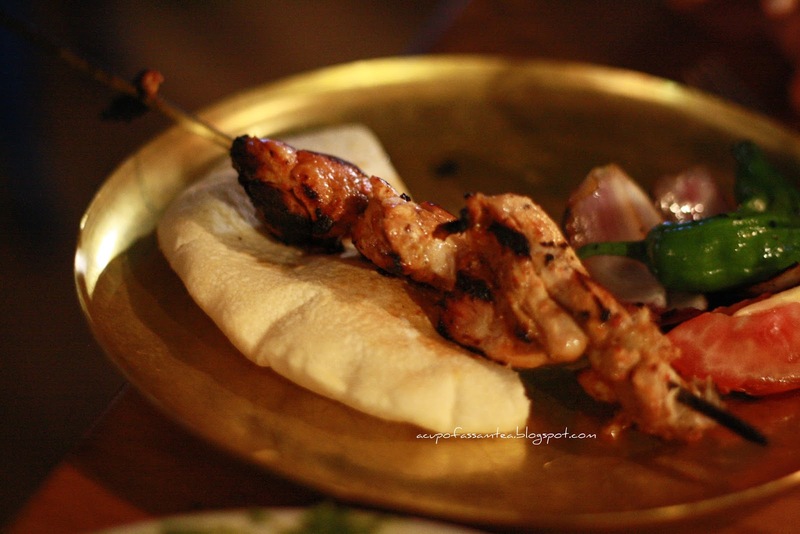 Yet to explore a few more dishes and will relish them next time in my next visit. Have a wonderful weekend. Hi, this sounds like a lovely place to eat and the food looks delicious. I was drawn in immediately with the homemade lemonade with a hint of mint. Im also a sucker for a nice hummus. That looks amazing! loving the photos too. Also homemade lemonade - yes please!! That sure looks very inviting. That lamb shank is everything, yummy! This looks amazing. If I lived in the area I'd definately be there tonight! The food looks amazing and the place sounds equally amazing! Great post! i like chicken a lot. The roasted cauliflower and rose pudding looks delicious. Would love to visit Hartford to try these delicacies. Sure. Thank you so much ! I completely agree eating out as a family is a big experience, not only as a social thing but to teach children how to behave in a restaurant. It looks like you all enjoyed your time out! Totally agree . Thank you so much ! Roasted cauliflower and dessert looks delicious. Lovely place for weekend. Nice pictures. Thank you so much Jayashree ! Wowza! all those foods look delicious! Thank you so much Zarah ! Thank you so much Aneta. Appreciate it. I think these Dishes are so Yummy.. I think i really need to Visit on that place thanks to share. Thank you Dieter. I know Dubai has bunch of such a great restaurants. This looks soooo delicious! I am hungry now.